Halloween Horror Nights II was home to the very first appearance of the Bill and Ted show. This show, which parodied current trends and the latest buzz in Hollywood, would soon become an annual show held at every Halloween Horror Nights event to come. This event also featured the first appearance of Robosaurus, a giant fire-breathing, car-eating robot that roamed the streets of New York. The event was also home to the second appearance of The Dungeon of Terror. Gates opened at 6:30PM till 12:00AM. Take a trip through the cryptic set that you will never forget…ever! Halloween Horror Nights II featured no Scare Zones. 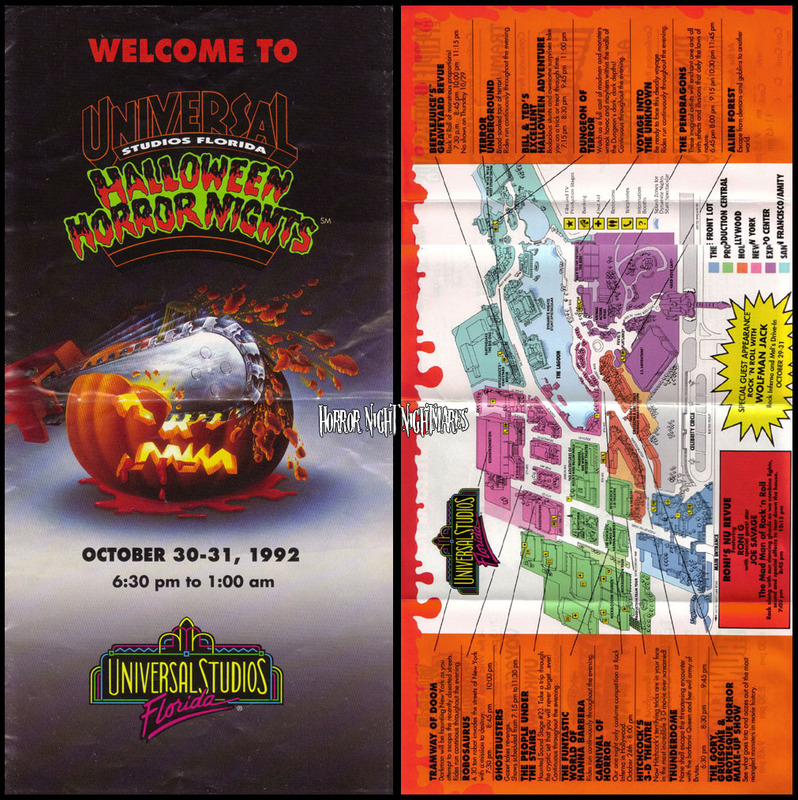 Scare Zones were not featured until 1994 at Halloween Horror Nights IV. Bodacious stunts and awesome surprises take you on a trick or treat through time. Our one night only costume contest competition at Rock Inferno in Hollywood. These magical artists will enchant one and all with effect and illusions that defy the laws of nature. A 30-ton robot invades the streets of New York with a mission to destroy. None shall escape the threatening encounter with the barbaric Queen and her evil army of brutes.